Hey guys! I hope you all had a great Thanksgiving. I sure did. We hosted and had friends and family over. It was the first thanksgiving where I cooked the turkey and majority of the dishes. I did great (not to brag) but the turkey and everything else was amazing! The dishes I made were primarily organic, gluten free and dairy free. I figured if the food is healthier I won't feel bad eating so much lol. This Thanksgiving was also my first thanksgiving not in New Jersey :(. If any of you remember I started blogging about a year ago. Although, I was an infrequent blogger, my first posts were around this time a year ago. Also, tomorrow will be my one year anniversary of being in Texas. This past weekend was also Faith's pageant. I know I said in my last post I would not compete; however, the director emailed that there were low numbers in my age division so of course I signed up! The pageant was fun and we met a lot of great people. Faith also made lots of new friends. As far as the competition goes, Faith was very shy in her division. She didn't scream which was good, but she did not smile. It was ok, she still did pretty good for her first pageant. I was nervous too but I competed against myself so I basically won by default, but the judges said I did great for my first pageant! So I won my division, and Faith won princess in her division. Faith also won Viewer's Choice thanks to all of your support and Miss Queen of Hearts for donating the most items! We took 4 crowns home!! Since we won those titles we get to move on to States which will be some time next year. Before states we have to participate in lots of community service which should be fun. We will be updating you on how we are getting involved in our community. 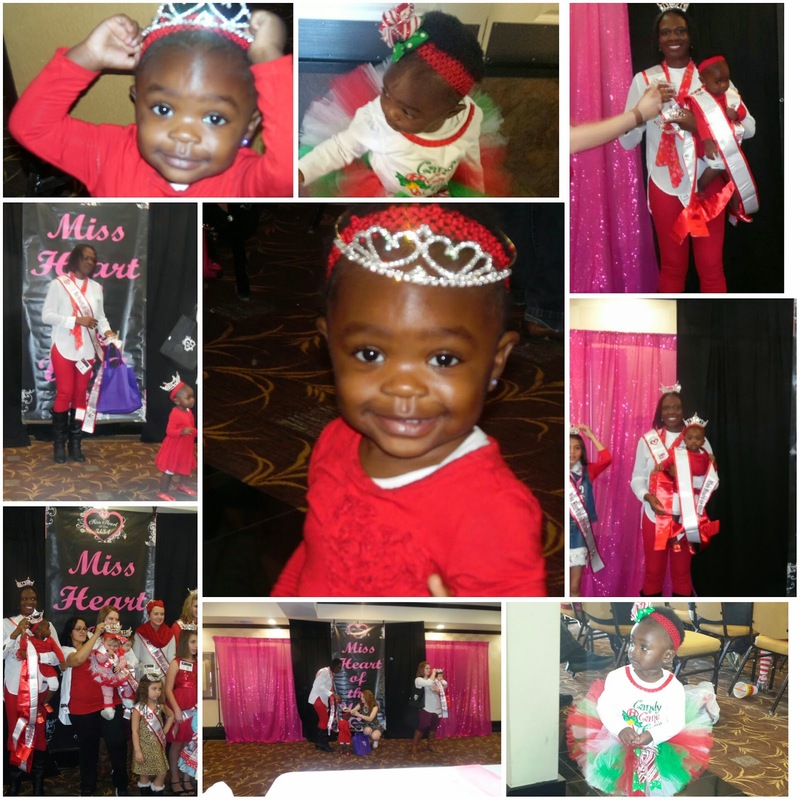 Please view photos below from the pageant.